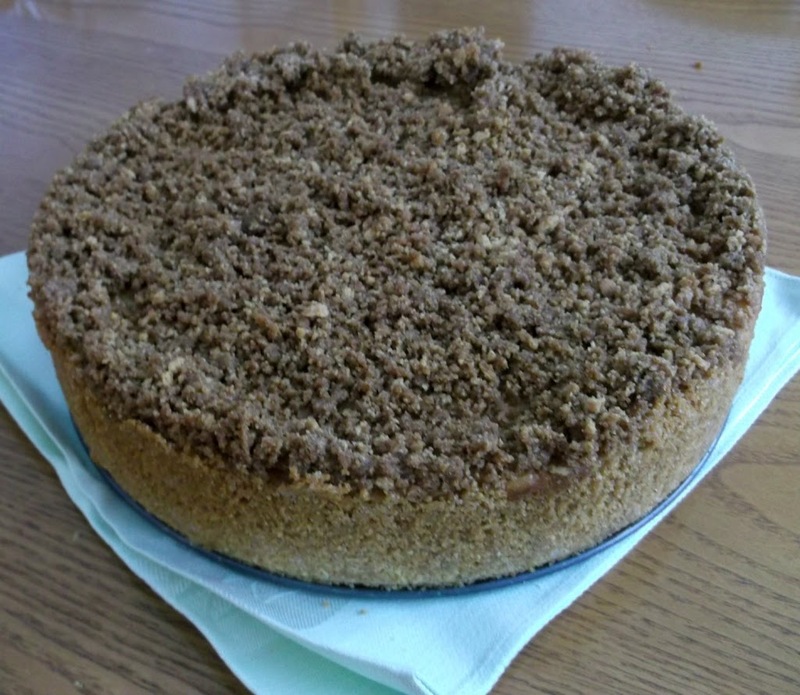 I made this cheesecake for yet another birthday gathering in the family. Our daughter Krista’s boyfriend Joe celebrated his birthday the end of December, but with the holiday we waited until January for the official birthday dinner. I want to post dessert recipe first, you know post the good stuff first. Also this cheesecake is amazing so I couldn’t wait to share it. When I saw this recipe at the Taste Of Home website I was kind of taken back. Carrot cheesecake, I had never heard of this before, it sounded like it would be something unique. I am sure everyone has heard of carrot cake, but has anyone heard of carrot cheesecake? Yes, this cheesecake takes a little longer to make than your everyday conventional cheesecake. 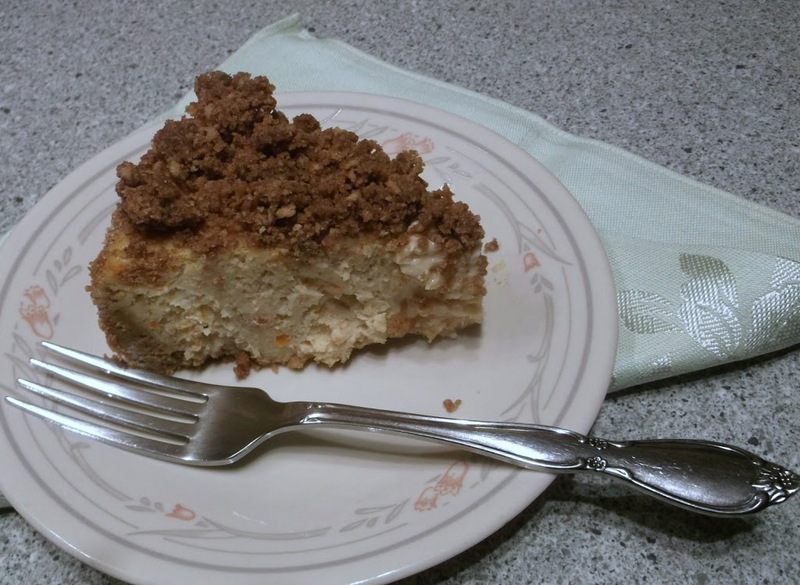 The carrot have to cooked and pureed and you make a crumb topping, but it is so worth every minute you put into it. It is recommended that you make it the day before, which I usually do when making cheesecakes. 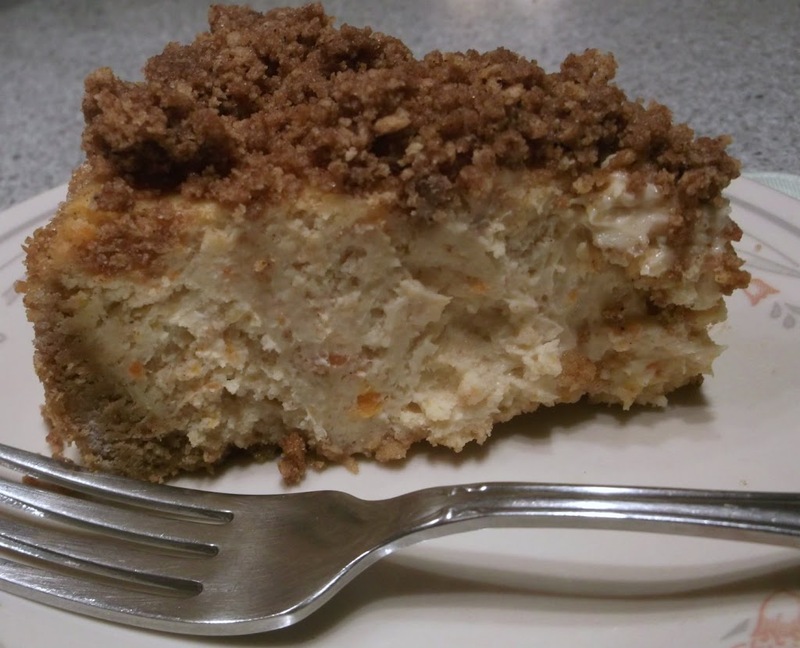 If you like cheesecake and carrot cake you are going to love this creamy dessert, it is packed with flavor and taste divine. In a small bowl, combine crumbs and sugar; stir in butter. Press onto the bottom an 2 inches up the sides of a greased 9 inch springform pan. Bake in a 350 degree oven for 6 to 8 minutes. Cool on a wire rack. In a large bowl, beat cream cheese and sugar until smooth. Add eggs; beat on low speed just until combined. Stir in the cream, cornstarch, sour cream, vanilla, lemon juice, and cinnamon. Fold in carrots. Pour into crust. Place a baking pan filled half full of water directly on the rack below the cheesecake. Bake cheesecake at 350 degree for 53-58 minutes until center is just set. Combined topping ingredients; sprinkle over filling. Bake 7-10 minutes longer. Turn off oven and open door slightly. Let the cheesecake set in the oven for another 30 minutes then remove and set on cooling rack. Carefully run a knife around the edge and continue to cool until completely cooled. Refrigerate overnight. That has to be the most insanely delicious cheesecake I’ve ever set eyes on! Love that it has a crumb topping. So decadent. Carrot cheesecake is new to me, too. Looks so terrific, however. This must have huge flavor! Really excellent – thanks.